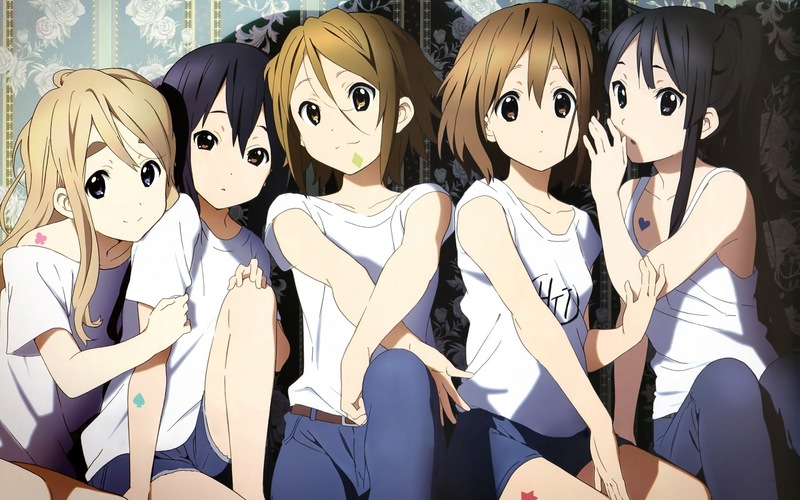 K-ON!‘s story revolves around four Japanese high school girls who join Sakuragaoka Girl’s High School’s light music club to try to save it from being disbanded, however, they are the only members of the club. 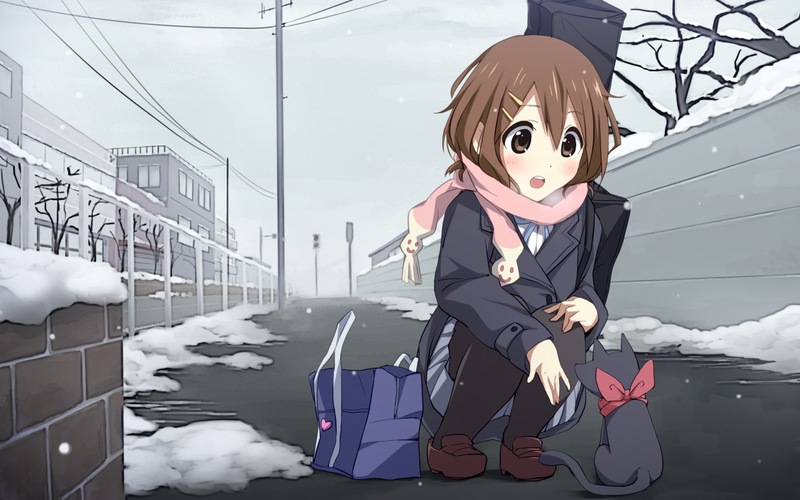 At first, Hirasawa Yui has no experience playing musical instruments or reading sheet music as she is only familiar with playing the castanets, but she eventually becomes an excellent guitar player. 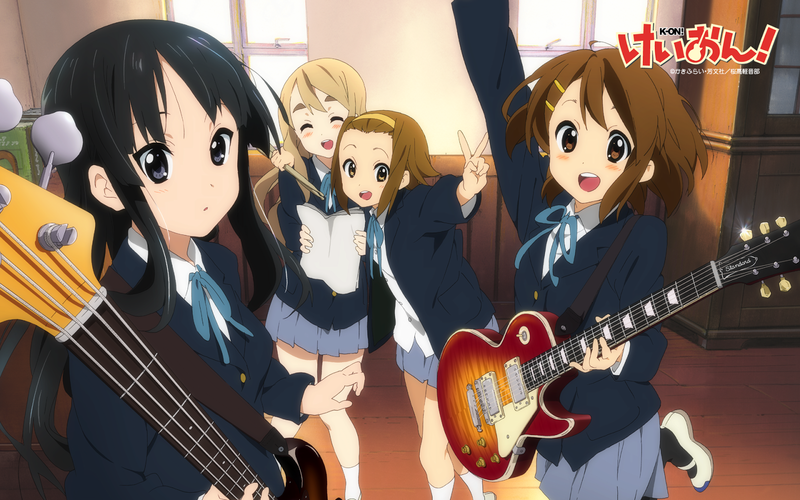 From then on, Yui, along with bassist Akiyama Mio, drummer Tainaka Ritsu, and keyboardist Kotobuki Tsumugi spend their school days practicing, performing, and hanging out together. 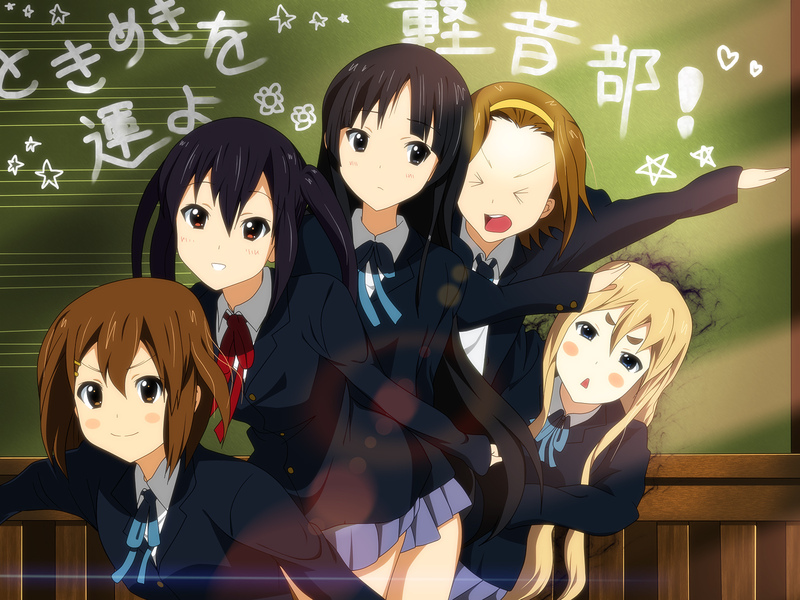 The club is overseen by music teacher Yamanaka Sawako, who eventually becomes their homeroom teacher as well during their final year of high school. 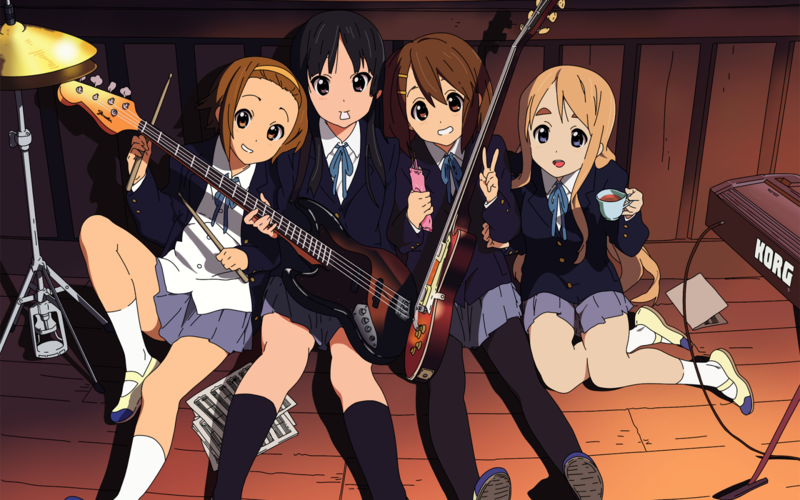 In their second year, the club welcomes another guitarist, underclassman Nakano Azusa. 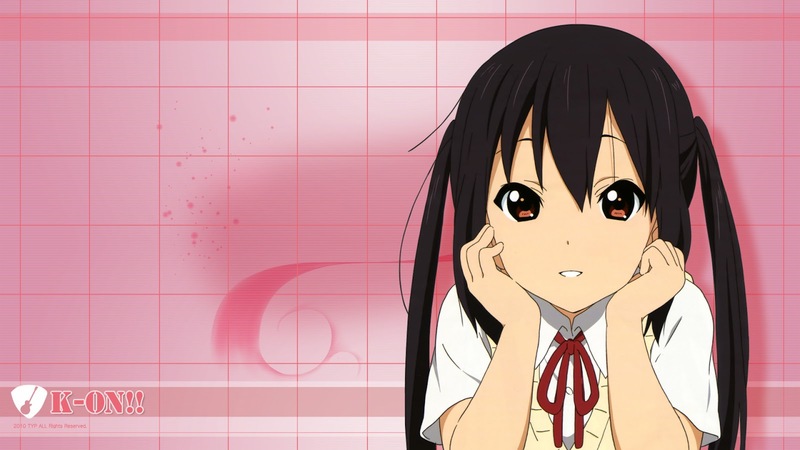 After Azusa joins they gain more structure and begin to practice more. 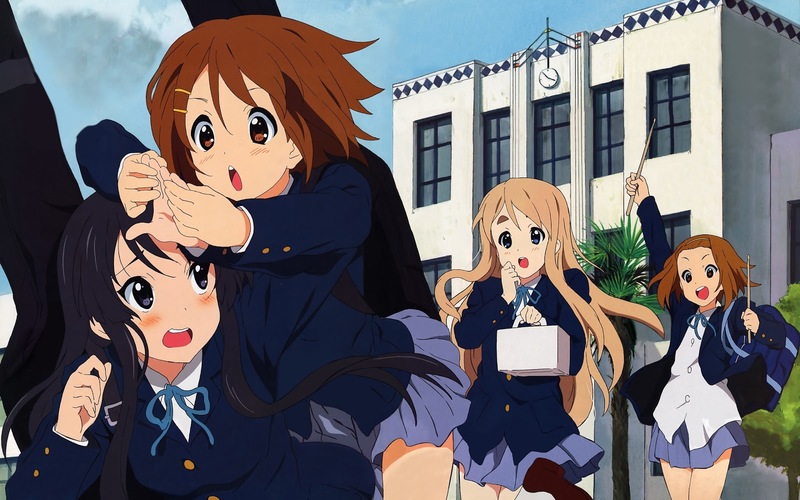 Aired from April to June 2009 (first season), and from April to September 2010 (second season), this anime also had a film adaptation released in December 3rd 2011. 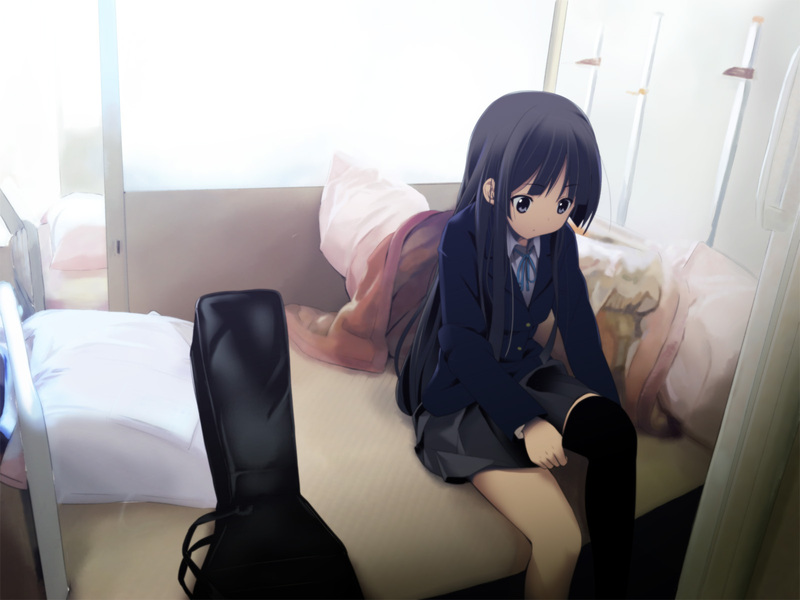 Enjoy “Fuwa Fuwa Time” by the Light Music Club!